Derek Lamont has over 15yrs of joinery experience. Derek has a wealth of experience behind him and has worked hard to build up the excellent reputation that he has throughout Fife and the rest of Scotland. Derek prides himself on his work and is a self confessed perfectionist, each job he ensures he finishes to the highest standard possible. This is shown to be successful for Derek as he now has many repeat customers who have used him over the 15 yr period he has been in business and still using him today along with some big commercial companies. With Derek's wealth of experience and contractors that Derek works closely with he can take on any job however big or small it may be and as always finish the work to the highest possible standard. House Extensions & Sun Rooms are one of our specialist fields. We can carry out any small extensions to much larger extensions also. If you check out the gallery on our website you can see one of the extensions we have done recently. Have you been thinking about moving house as there is just not enough space? Have you ever thought about extending your current house. Extra bedroom, extend the kitchen or even add a home office. We have carried out several extensions now and we have the experience and contractors on board to carry out the full job from start to finish including all building work and joinery work. Thinking about relaxing in your own sun room this summer? Here at Derek Lamont Joiners we have done many sun rooms for many happy clients. Not only giving you extra space to relax in, adding a sun room will also add value to your home. Call now to discuss what we can do for you. 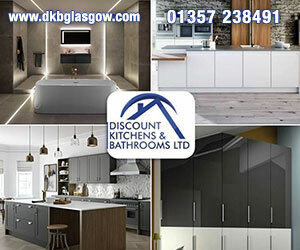 Kitchen Installations is one of our main specialist fields. 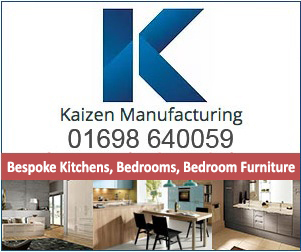 We have a wealth of experience of over 15yrs fitting kitchens and we are very well known for kitchen installations in our area. Whether you are looking to revamp your current kitchen or looking for a brand new installation in your home we can carry out the work for you. We also deal in larger scale commercial kitchens. 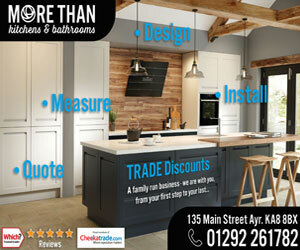 We can work with you from start to finish to get your kitchen 100% to your own specific requirements. All our work is done to a very high standard and we won't leave a job until our customers are 100% satisfied and until we feel the job has been done right. A good majority of our work comes from recommendations and previous clients so this shows that we have a great reputation for the standard of our work. 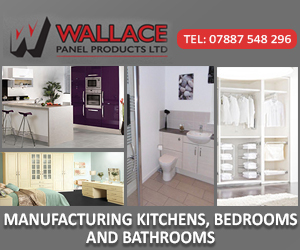 We can deal with your full kitchen; everything from fittings and fixtures to appliances and flooring. 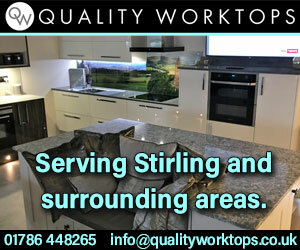 So for a one stop solution for kitchen installations in Scotland call us today for more information. Garage Conversions are also one of our specialist fields. Looking for an extra bedroom, home office or just some extra living space? Have you ever thought about a garage conversions? Garage conversions are becoming much more popular these days as more people realise they could be using the space they have a lot better than they currently are. We can work with you from day 1 throughout the whole process and carry out all building and any contracted work that is required. Looking for general joinery work? Look no further! Here at Derek Lamont we also carry out a range of general joinery work from flooring to custom home solutions for bedrooms/bathrooms etc. There is very little we can't do! So if you would like a quote on any of our services or would like to discuss anything further with us please contact us now and we would be more than happy to give you a free no obligation quote.